For the next match – Iceland vs Croatia. For the next match – Nigeria vs Argentina. This Group C clash could be a wonderful spectacle between two sides who will be battling it out for pole position. France will be expected to progress and have a wonderfully talented squad. Didier Deschamp’s side will need to pick up three points here to ensure they get an easier fixture in the round of 16. Denmark have been identified as potential dark horses by some pundits and will be hoping to make it through to the knock-out rounds. They needed a play-off to qualify for the tournament but could cause problems for Les Bleus. Why Should I Bet On Denmark Against France? Already-qualified France need just a point from their final game against Denmark to secure top spot in Group C. Denmark are almost in the round of 16 but need to draw with the French to be absolutely sure of progress, with Australia waiting to capitalise on any slip-up. 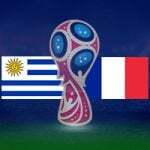 France have been low-key and unspectacular so far in Russia, winning two out of two but failing to impress fans despite their array of attacking talent. However, Didier Deschamps’ men have now lost only once in the last 12 months. Denmark have been far from fluent themselves, narrowly beating Peru and then fading after a good start against Australia. But the Danes’ unbeaten record now stretches back an impressive 17 matches and with a draw satisfying the ambitions of both teams, that looks like the most likely outcome. The draw is at 6/4 with Bet365. The best course of action for Denmark’s opponents at this tournament is clear: stop Christian Eriksen and stop the entire team. It hasn’t worked so far, though, with the Tottenham Hotspur midfielder grabbing an assist in the opening match and scoring a thunderous volley against the Socceroos. Eriksen has scored 13 times in his last 15 appearances for the national team – a statistic which underlines his importance to the entire operation. The playmaker can be backed at 10/3 to score at any point over the 90 minutes with William Hill. Mile Jedinak’s converted penalty kick for Australia was the first goal Denmark have conceded since November 2017. Age Hareide’s side haven’t conceded in open play for 624 minutes and haven’t been on the losing side since October 2016. France have demonstrated a pragmatism over the course of Group C’s fixtures and, needing only a point to win the group, that’s not likely to change in their final match. Les Bleus have only kept two clean sheets in their last eight matches, though. A low-scoring draw appears to be the most logical outcome on Tuesday afternoon. The 1-1 draw is at 11/2 with Betfair. These two sides are familiar foes. They have faced one another 13 times with France having won seven of those encounters. 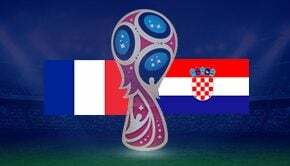 Les Bleus have also won six of the last seven meetings, although Denmark were 2-0 winners when the pair faced one another at the 2002 World Cup. Their most recent meeting came in October 2015 with France winning 2-1 in an International Friendly. Olivier Giroud scored twice within the first six minutes. Christian Eriksen – The cultured Spurs midfielder netted a hat-trick during the play-off match against the Republic of Ireland and he is creator-in-chief for Denmark. He was influential throughout the Premier League season and it’ll be an interesting tactical battle in the centre of the park. Paul Pogba – He may have flattered to deceive at times during the Premier League season but Pogba can influence a game and he can be hugely effective in the right surroundings. He will push forward at every opportunity and is likely to thrive now that he is freed from the shackles of Jose Mourinho.